Everybody knows that the African -Black woman is the most beautiful in the world. But many people continue to find a way not to promote that fact, It makes no difference because in Africa women are walking proud and basking in their God given beauty. At least black women don't go under the knife as the others, have fake asses,body, lips, Botox and mm. Most of women have something fake , others trying to look like us even do have fake hair as well. Cultural identity is so important to be taken into consideration.Alienation being part of all that nonsense is the problem many have today. Also acknowledge the fact that been black isn’t only about melanin . Being black goes hand in hand with our melanin ,cultural ,spiritual. Every other race want to have the physical attributes of a Black African woman by going under the knife, it called face lift, bum lift, and liposuction. Lets get the facts right: It is more sensible to be called African than using colors like we have no race when the African race was how the Human existence came about in the first place. Go and check recent studies done by European genealogists and Archeologists. Black women are beautiful and it is the genes of black women that have set the precedent for beauty since the beginning of recorded time. I was raised in a house of strong black men who all think black women are the most beautiful on this earth so whilst I understand the narrative around black men and that there are black men who think Black women are not the most beautiful women, we need to look a little deeper here. First and foremost a black man expressing his desire to see a black woman’s natural hair isn’t always an insult or an attempt to control a beautiful black woman. That acceptance he’s providing that we don’t receive in dominant society should be seen as an act of solidarity not met with defensiveness. It should open up a conversation instead of throwing out accusations. Black women are very beautiful and the most attractive. There are equally a lot of black women that actually do not like, love or care for their natural hair as they see it as a nuisance, unprofessional and generally buy into all of the stereotypes around our hair without even realizing it. I have to be honest there are also a lot of beautiful black women walking round with weaves and it doesn’t even suit their features . Black women are the most beautiful human creatures on this planet. So y'all think if a black man isn't attracted to a beautiful black woman he will be when she starts wearing fake white woman's hair I am struggling to find any logic in that. Sorry. Just wear whatever you feel like but stand behind your choices. Blaming it on men just doesn't work because most Black men with self pride love it when a beautiful black woman is confident enough to wear her god-given natural hair...It's just how things should be and it makes the most sense. 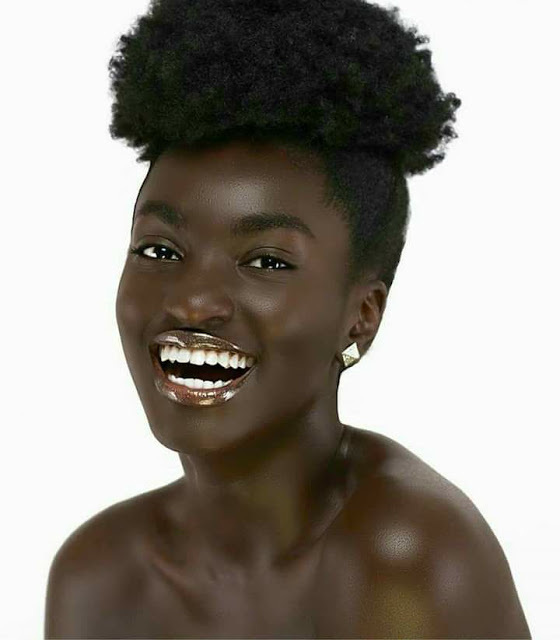 Beautiful Black women should not be wearing hair that is basically the opposite of black women's natural hair that they were actually designed to grow by nature. It just screams self esteem issues.